Willy Fautré is director of Human Rights Without Frontiers. In 2011, the European Parliament examined a report from the Commission on the implementation of the Framework Decision of 13 June 2002 about the EAW and the extradition procedures between member states. This then triggered a series of parliamentary questions to the Commission and the Council tabled by each of the four main political groups. While the EAW has proven to be an effective instrument in the cross-border fight against crime and terrorism, its disproportionate use, as well as its misuse, have been repeatedly questioned. In January 2014, the LIBE Committee adopted a resolution (45 votes to 4) calling upon the Commission to table proposals to reform the EAW within a year, including provisions to guarantee that fundamental rights are respected, a “proportionality check” to ensure that the least intrusive measure is applied and the right to effective legal remedies. “The warrant needs to be used not only effectively but proportionately, with guarantees that human rights are not abused in the process. This will help prevent miscarriage of justice in the future,” said then rapporteur Saran Ludford (ALDE, UK). On the eve of 2017, it can be said that “disproportionate use” of the EAW for minor offences or in cases where less intrusive alternatives might be used persists and still raises serious concerns. Unwarranted arrests and unjustified or excessive time spent in pre-trial detention, disproportionate interference with the fundamental rights of suspects and accused persons as well as burdens on member states’ resources are still worrying issues. Sometimes people surrendered under an Arrest Warrant have to spend months or even years in detention before they can appear in court to establish their innocence. Moreover, the deliberate misuse of the EAW is not fiction. The notion of pan-European standards of justice has been called into question on several occasions in the UK and other EU member states. On the basis of the mutual recognition of criminal justice systems within the EU, any national political authority in the EU can issue a warrant to extradite a suspect, but this approach equating British and German standards with the ones in force in Romania or Poland is controversial. The judiciary in Romania is not independent and is vulnerable to political interference. Indeed, more and more reports are highlighting this problem. 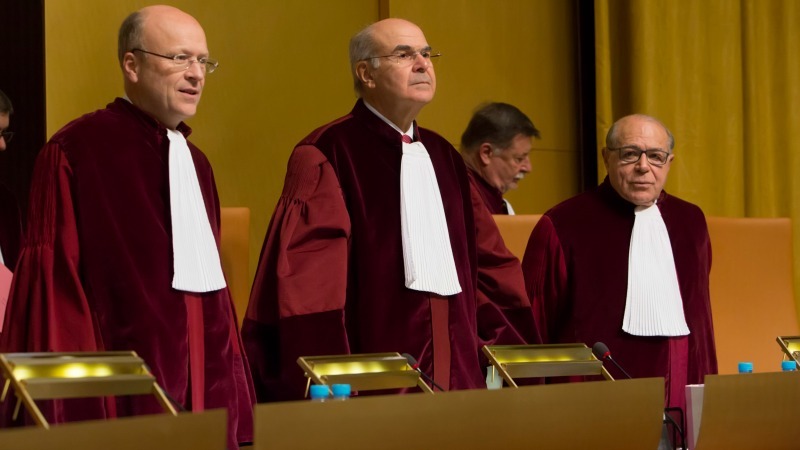 Last year MEDEL (Magistrats Européens pour la Démocratie et les Libertés) shared the same deep concerns as some Romanian judges and prosecutors who took a stand against the unlawful involvement of the Romanian Intelligence Service (SRI) in the judiciary process. “This situation is a threat to the democracy in Romania,” MEDEL wrote in a statement entitled “European magistrates concerned about the influence of intelligence agency over the judiciary process in Romania.” The National Union of Romanian Judges has also made the European Commission aware of the threats on the judiciary and the rule of law in their country but has not found an attentive ear to their fears. Some years ago Sweden refused to send back a Romanian citizen whose extradition had been requested by Bucharest on the basis of an EAW. Stockholm granted him political asylum and justified its decision on the grounds that he would not get a fair trial in Romania. Another case has now put Romania back in the spotlight with another example of EAW misuse and miscarriage of justice. In last June, Alexander Adamescu, a German citizen and the son of a prominent Romanian businessman, was arrested in London on the basis of a European Arrest Warrant (EAW) issued by the Romanian government which accused him of complicity with his father in allegedly bribing judges. Any alleged involvement of Alexander Adamescu in his father’s case was never raised until he initiated a £200 million arbitration claim for the purposeful destruction of a group of companies controlled by his father, including the liberal newspaper România Liberă which had always been critical of Romania’s political leaders. Alexander Adamescu denies the charges and claims that the jail sentence against his father was based only on the false testimony of a former employee in one of the group’s companies. Despite the suspicion of political motives behind this case, British judges cannot review it and must treat this and any EAW issued by Romania with a wholly unmerited level of reciprocity. Were they able to scrutinise the evidence prior to extradition, many cases would have certainly been thrown out. In the UK, there has always been a strong movement against the EAW since its inception in 2004 because of the loss of judicial sovereignty that it was perceived to entail. Now, many people in political parties and in the judiciary look forward to the exit from the EAW system and to a new form of judicial cooperation between the EU member states, much like the cooperation that the United States, Canada, Australia, Switzerland, Norway and others have with the EU space. The EU might be well inspired to use this momentum to consolidate the EAW system by correcting its shortcomings and protecting it against any form of misuse and abuse.